Do you need help to get back your lost iPhone data? Whenever you loose your iPhone items such as contacts or photos you can successfully recover them back. You could lose your iPhone through accidents like mistakenly deleting your files or damaging your iPhone. You should never stress up trying to find your lost or deleted iPhone data. This is because of the incredible softwares compatible with Mac such as iMyfone D-Back and FoneLab iPhone data recovery softwares that help you recover lost data from your iPhone easily. This article takes you through these softwares. 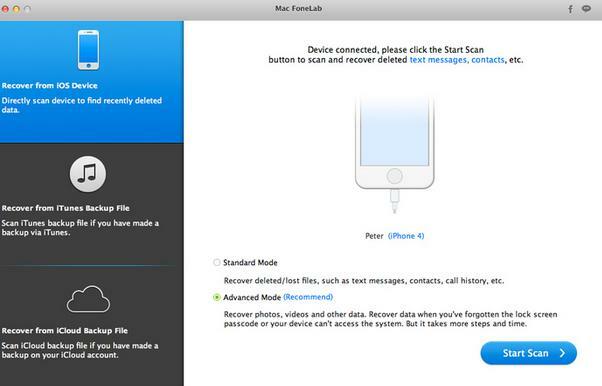 Factors To Consider When In Need Of An iPhone Data Recovery Tool On Mac. There are many iPhone data recovery tools on Mac that you may use to recover your lost iPhone data. You need to make sure you pick the right solution. Here are the factors to consider. Different iOS data recovery softwares come in different prices. Look at the features of a software in relevance to its cost. Purchase a software that is cost effective and it is integrated with several iOS functions. Before you can buy any program you need to ensure if it is compatible with your personal computer or your device to be able to complete your work on recovery data. It should also be in a position to recover from a wide range of iPhones, iPads and iPods. You need to consider the method you want to use to recover your data. Some softwares may not allow you to recover your files from a method you need for instance where you want to recover from iCloud, iTunes or directly from your Iphone. Purchase a software that has different recovery modes. Following we will introduce the top 5 iPhone data recovery for mac we found. 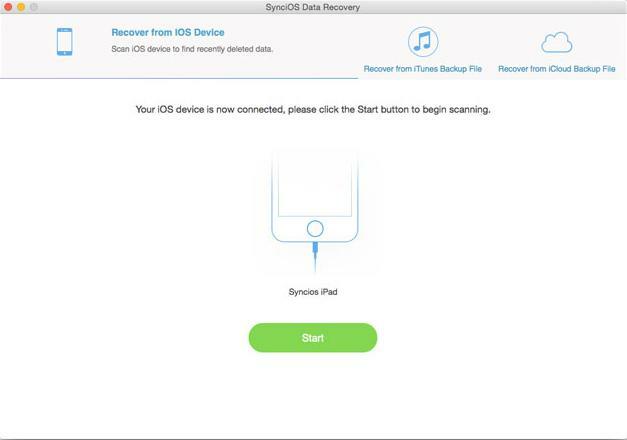 iMyfone D-Back for Mac or iMyfone D-Back is an iPhone data recovery software that allows you to restore your data from your iPhone, iPad or iPod devices. It enables you to recover lost data easily with four recovery modes. It supports 22 file types such photos, contacts, videos and more. It is compatible with Mac 10.7, 10.8, 10.9, and 10.10. 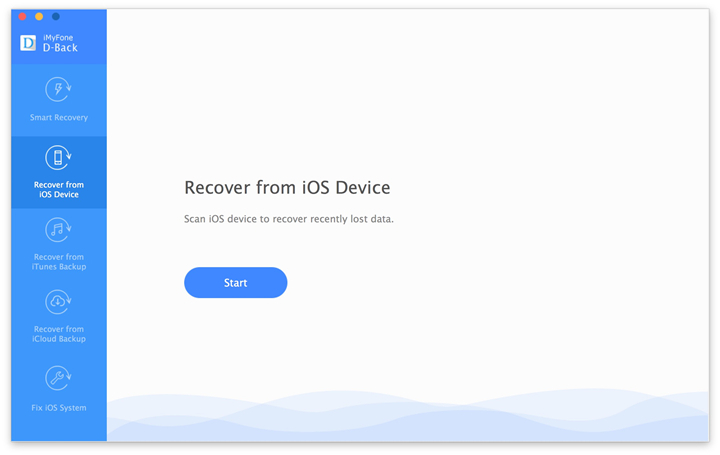 You can recover data with four recovery modes; Smart Recovery, Recover from iOS device, Recover from iTunes backup and Recover from iCloud backup. It is compatible with multiple iDevice ranging from iPhones, iPads to iPods. It does not overwrite data. You may need to pay for the full version. It supports different data loss scenarios like accidental deletion, formatting, virus attack and others. It allows you to recover data from iTunes backup and iCloud Backup file. It recovers data with a fast speed. It has supports three recovery modes. It is supports multiple iDevices. The trial version does not offer advanced features. 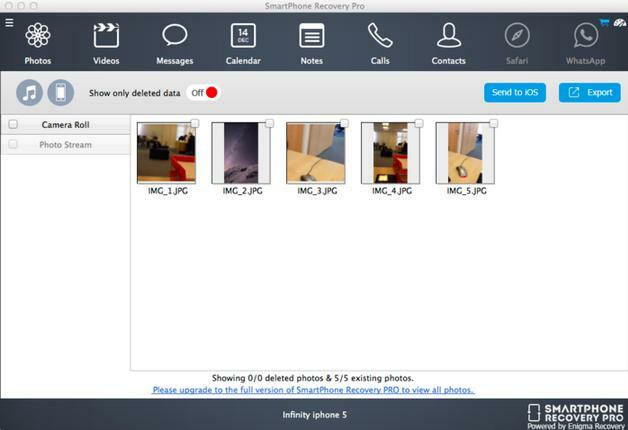 SmartPhone Recovery Pro is iOS data recovery software that helps to recover lost data from an iPhone, iPad, iPod, and iOS devices. It is a powerful tool that restores data such as messages and contacts. It recovers data such as contacts, notes, messages, videos, photos and more. Provides an easy guide from which you can recover lost files. 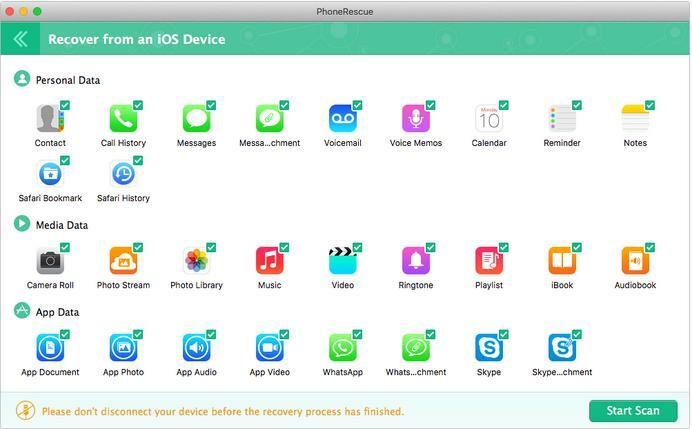 PhoneRescue is an iPhone data recovery Software that supports Mac OS and recovers lost files from iPhone and other iOS devices. It can recover lost data such as photos, videos, contacts, music and many others. It can restore data from any iPhone data like iPhone 6. Allows you to extract and recover files from iTunes backup. Supports file types such us contacts, photos, notes, reminders and more. It is compatible with both Mac and Windows OS. It supports recovery of many file types. Takes a longer time when scanning. Syncios Data Recovery software is an incredible data recovery tool that restores lost data from your iPhone device. It also recovers data from Android devices and other iOS devices. It can restore data such as videos and others. It can check through the lost data before recovering. It supports file types such as messages, photos, contacsts, iPhoto and more. Recovers data with three recovery modes; directly from iPhone, form iTunes backup and from iCloud backup. It recovers data with quick speed. iPhone data recovery softwares allows you to recover almost all lost data from your iPhone easily. Choose the software that best suits you and recover lost files on your iPhone with ease. I have tried all of these five applications and actually they are almost same but iMyfone D-Back offers the Smart Recovery. That’s all. Hi Adam9307, actually iMyfone D-Back has not only this one advantage. It is cheaper than most of data recovery tools on the market and we offer the better customer service. The interface of iMyfone D-Back is pretty smooth and user-friendly.